The executive committee of the H1 Unlimited Hydroplane Series announced Saturday the return of one of the winningest drivers of all time – Steve David – naming him the interim chairman. David, 60, retired at the conclusion of the 2013 season after a 25-year racing career. He was a past American Power Boat Association (APBA) President from 1996-98, and vice president from 1992-96. "We are bringing back a true champion who has a passion for hydroplane racing, understands the importance of a strong governing body and is also a standout businessman," said Charlie Grooms, vice chairman of H1 Unlimited, speaking on behalf of the H1 team owners and race sites. "Steve's place in racing history didn't end last year when he retired. His commitment to bettering H1 has grown into a well-crafted plan to keep fans, race teams, sponsors, race sites and the media actively engaged in this sport. He is tasked with continuing to grow the sport and ensure its financial success." As a driver, David amassed 18 wins, six Drivers' Championships, and four National High Points Championships while racing for the Oberto/Miss Madison team (2001-2013), T-Plus Engine Treatment (1992-99) and ARC Construction (1988-91). 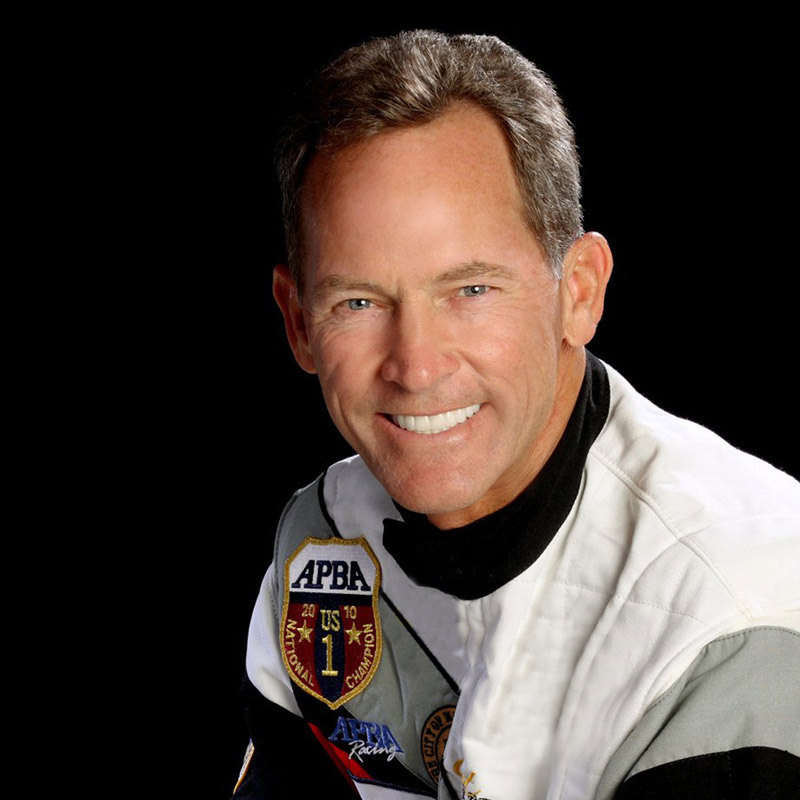 He is a six-time inductee into the APBA's Hall of Champions and is an inductee into the APBA Honor Squadron. "We have a 100-plus year legacy in Unlimited Hydroplane Racing," David said. "This is both something to respect but also a harness of sorts, which requires that we adjust and adapt to ensure we're not just part of motorsport history, but also relevant and exciting for future generations." David has several thriving real estate business based in Fort Lauderdale, Fla. He is also a sought-after public speaker who has helped some of the world's largest real estate brands through his "Life Lessons at 200 MPH" program. His is also a past board member of both the Florida Association of Realtors and the National Association of Realtors. "I'm honored to join a team of dedicated business professionals who are not only committed to the sport but also have a depth of business knowledge to change what must be changed, and enhance what is already great about our sport," added David. Outgoing H1 Unlimited Chairman Sam Cole informed the H1 Executive Committee he was stepping down from his position earlier this week. Cole said he will remain active in the sport. "I appreciate the opportunity of serving H1 these past 10 years and wish nothing but success as they chart the future," Cole said. "I would like to thank the officials and volunteers for their countless hours, dedication and support over the last decade." Adds Grooms, "The H1 Committee, on behalf of the owners, sponsors, drivers and crews will be forever thankful for Sam's dedication, hard work and sacrifice on behalf of the H1 family for the past 10 years. He will be hard to replace. Sam was responsible for expanding our international footprint with the addition of the Oryx Cup in Doha, Qatar and securing national network TV coverage of races." Mike Denslow, H1 Committee race site representative: "We wish Sam well as he steps down and welcome Steve David back into the H1 family. The energy and expertise Steve brings will help cement our relationships with current race sites and we're hopeful we can add more sites in the future." The H1 tour is currently racing in San Diego, Calif. at Bayfair. Racing concludes Sunday on Mission Bay.